Large scale underground pipelines are the backbone of our company. Creative thinking, innovative techniques, experienced project management, and safe practices have allowed us to become one of the largest and most competitive pipeline contractors in the western United States. No pipeline project is too large or too small. We are capable of working with all types of piping materials. The vast majority of our jobs are within a 200 mile radius of Livermore, CA, but we are licensed and actively seeking work in six western states including California, Oregon, Washington, Arizona, Nevada, and Texas. 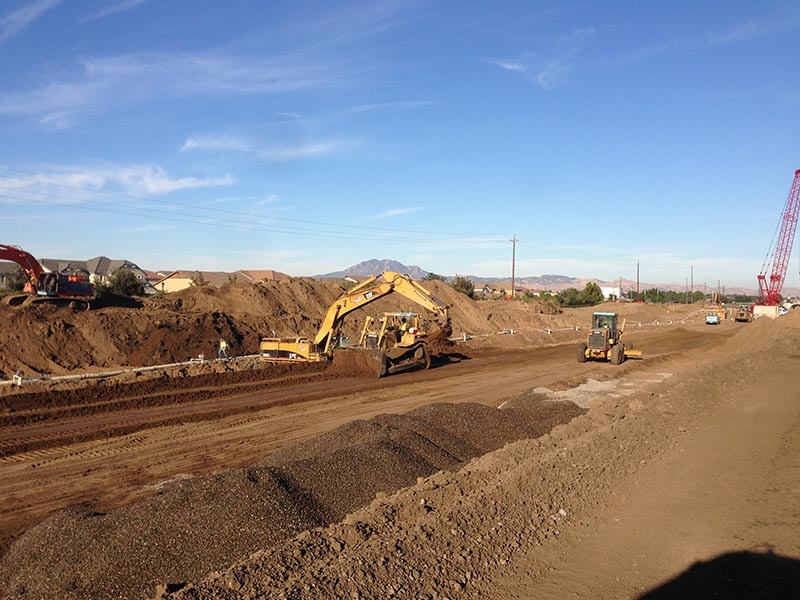 We also have prep and paving crews that have the capabilities of doing aggregate base placement, grinding, patch paving and overlays in house. Our projects size average between $3 and $10 million, but no job is too small. We will bid jobs in excess of $150 million. Established in 1975, we bring a combined experience of over 100 years to your challenging engineering projects. If you want a solution that combines experience with innovation, then get in touch today. Copyright 2017 - Mountain Cascade Inc.